Although there are many types of business insurance policies, if you want to simplify them, they can be grouped into three categories: liability, property, and employee insurance. All three types are important ways that you can protect your business. Perhaps the most important type of insurance for your business is liability insurance. Product liability insurance protects you in case a consumer is injured in some way by the product or service that you provide. If you make office chairs, one could be defective, break, and cause result in a concussed user. In that situation, you could potentially be held liable if that consumer sues. General liability covers your business in case a customer or client is injured on your property or claims that you were negligent in your dealings with them. Depending on the suit brought against you, the severity of the damage or injury, and several other factors, your business could be out a lot of money. With liability insurance, you’ll likely still have a deductible, but you won’t be paying an astronomical sum. You’re probably pretty familiar with this type of insurance. Property insurance policies basically work like homeowners insurance. In case of a fire, flood, natural disaster, etc, property insurance helps you get back on track. Instead of paying out of pocket for any resulting repairs or replacements, you pay a deductible and the insurance company does the rest. Other things commonly covered by property insurance? Robberies, smoke damage, and vandalism. Employee insurance can be one of the most complicated parts of owning a business, but it doesn’t have to be. The basics? You should have health, life, disability, and worker’s compensation insurance. If that doesn’t sound so basic, it’s always easiest to find a professional insurance agent that you can trust and ask them. A good agent will be up-to-date on the latest laws as well as the best way to work out the policies. 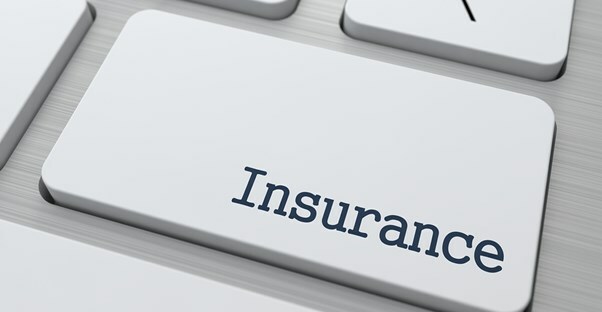 If you decide that you want to work out your business insurance on your own, you may need to do a bit more research. Health insurance is a great investment for your company because you will also be covered. As a part of the Affordable Care Act's health reform (you may know it as Obamacare), you may find that you're required to provide health insurance, depending on the size of your company.If you run a small business, your company may even be eligible for a tax credit under the ACA for providing health insurance to your employees. Although we all hope that we don’t have any accidents in the workplace, life and disability business insurance protects your company and your employees in case of an accident on the job that results in disability or death of an employee or business partner. It covers your business as well as provides compensation to the family of those who were injured. Worker’s compensation is along the same vein as life and disability insurance, but it covers employees who were injured in any serious way on the job, even if they weren’t disabled. It’s actually mandated by federal law that any company with employees carry a worker’s compensation policy.